As the WHO has declared the Ebola outbreak an “international public health emergency” rapper Cam’ron has stepped in to offer his help. 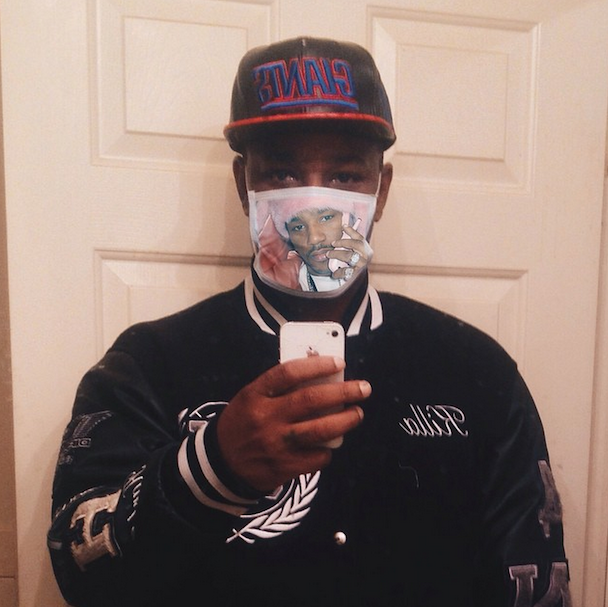 For $19.99, you can buy your own Cam’ron Ebola Mask, which the musician claims can “protect” you from catching the disease. According to the site selling the masks, they are due to be shipped to customers in November. “Provides complete protection while remaining light and comfortable,” said the product description. According to the WHO, Ebola is not an airborne virus – instead it is transmitted when people have direct contact through broken skin, or the mouth or nose, with the bodily fluids of an infected person. Masks can help stop the spread of infection, advises the WHO, but gloves and other protective equipment is also recommended. Other advice includes covering your eyes as well as your hands and mouth.